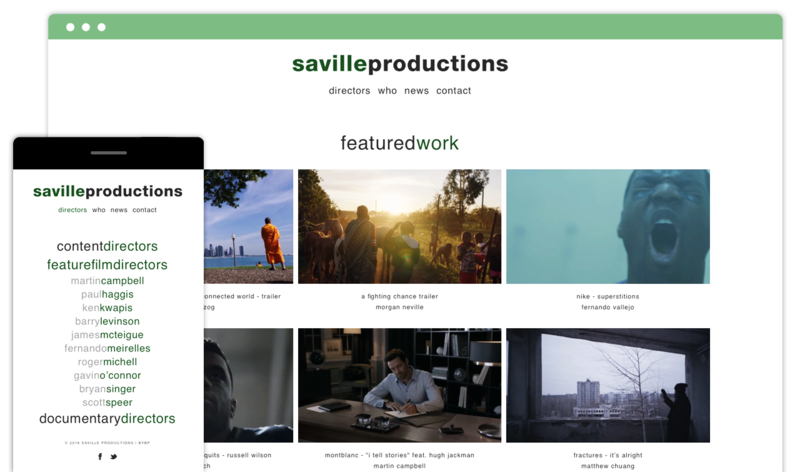 We are very proud of our third iteration of Saville Productions latest online presence. This site has been completely re-built from header to footer while keeping inline with the original minimal design aesthetic from our previous builds. Saville Productions, founded by Rupert Maconick, is an established entertainment company that has produced hundreds of advertising campaigns for big brands with high-profile filmmakers, including: Oliver Stone, Martin Campbell (Casino Royale), Paul Haggis (Crash), Barry Levinson (Rain Man), Werner Herzog (Grizzly Man), and many others.